You are our first official destination as Creative Adventurers and we thank you for the six day love affair. We traveled by mini-van which reminisced the essence of an old-fashioned family road trip. In the excitement of it all, we found a gem among your deserted lands and her name is Scorpion Bay. She’s hidden; tucked away in the little fishing village of San Juanico. Her early mornings greeted us with a cool breeze while afternoons struck us with a scorching heat but we didn’t mind. We embraced both ideal and flawed conditions to have our surfboards met on your fierce waves. The stunning atmosphere was matched with beautiful women who had come from Encinitas, New York, Miami, and Santa Barbara. Despite coming from varied locations, we met on your sands to fulfill a shared passion of surfing. Our days were customary to rising with the sun and coming to the shoreline. We celebrated our new community of passionate women with party waves guided by an artisan of the craft itself, professional surfer Mele Saili. It was a learning experience not soon forgotten. Tiring? Yes, nothing short of it but the exhaustion never surpassed our desire to move and be moved. We refueled with dishes made of fresh fish and veggies and practiced yoga. This was our medicine; our natural energy source. On our last day, we knew we couldn’t leave you without some special thanks for welcoming us during our stay. 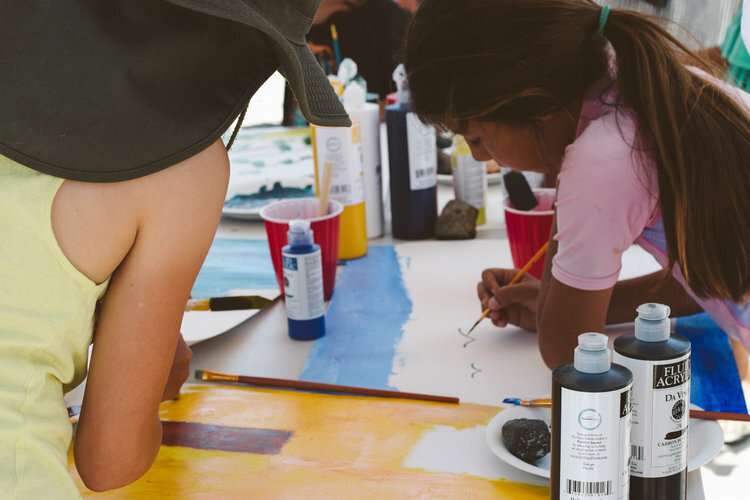 So we fostered the local children’s power of self-expression through art. We knew we wanted to give back to the community but not in a traditional sense. 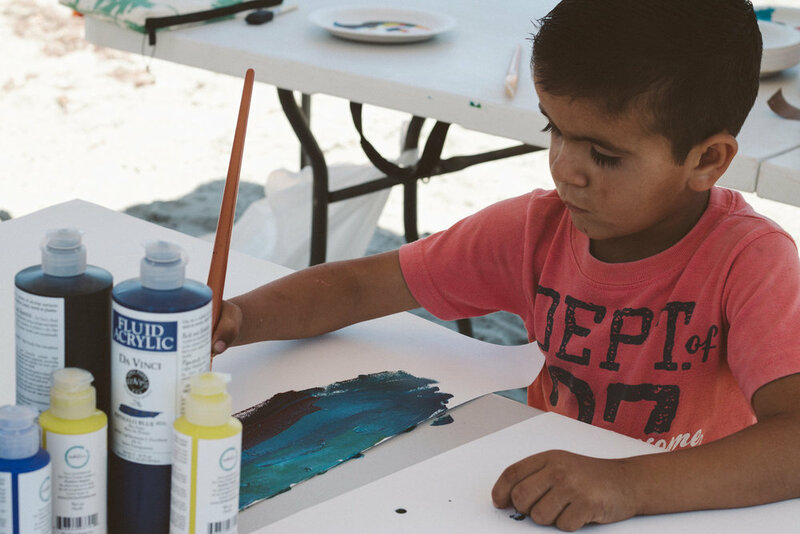 We wanted to teach children the importance of creativity and how painting can be their voice. Our paints were even supplied through an act of kindness; a donation from DaVinci Paints. We can’t thank them enough for giving us the ability to inspire creatively. 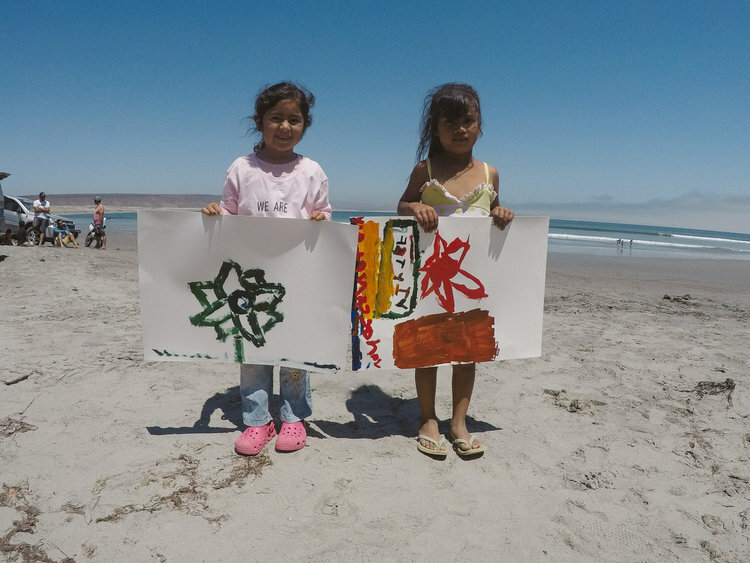 Oh Baja, our trip to you has validated our vision of wanting to travel while giving back. You are the muse, the inspiration that will fuel our upcoming travels. Thank you for being the first. Our memories with you will reside forever in our hearts and in the upcoming projects we will pursue.